Hello everyone. 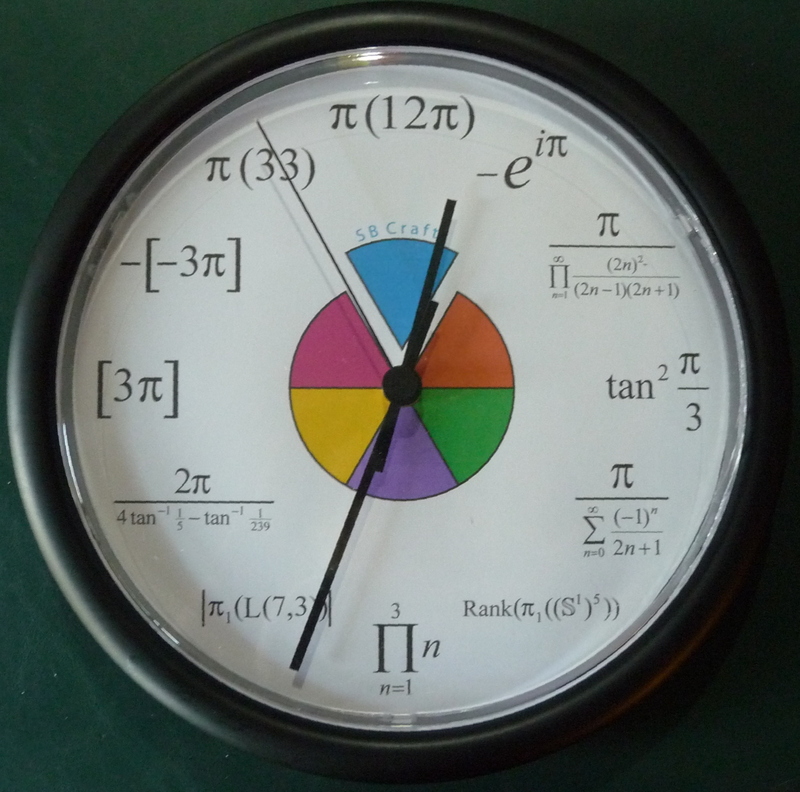 I have been trying to solve a pi clock which is attach. I figured out most of the positioins except the 5 and 7 positions. On the 5 position, I am guessing S is a sum series. I am not sure if the power is a 1. As for the 7 position, I think the L is a Eulidean norm vector. I used the IMG tags to display the larger image, and then removed the now unnecessary link to the image. OH WOW! THIS IS SO COOL... where can i get one of these? [color=#008000]MarkFL[/color] , can you post the missing 1/4 picture? I can not use IMG tag in my post. So here is the link to the picture above. For the fifth position, I think that is the first homotopy group of the sphere. No idea about the seventh position, though. I believe you are right and confirms I am on the right track. The S^^1 is a circle vector bundle. I read that the rank of a vector bundle is the dimention of its fibers. If raise to the 5th power, the rank then is 5. Cool. I found the solution to the other question pertaining to 7 = |pi (sub 1), (L(7,3))|. The L in here is the least common denominator which is 21. The pi (sub 1) of (21) is the number of prime numbers except the first one from 1 to 21 which is 7.
cos(pi) is -1, ceiling of (3.14-(-1)) is ceiling of 4.14 = 5. It was meant as a suggestion for your nice clock.